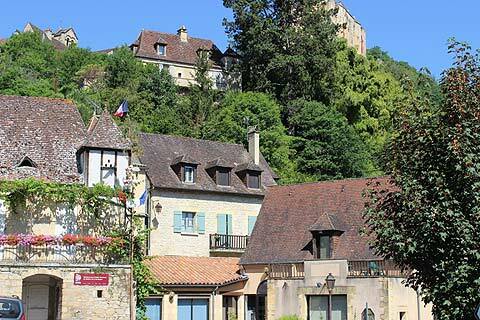 Castelnaud-la-Chapelle sits on the confluent of the Dordogne and the Ceou river. 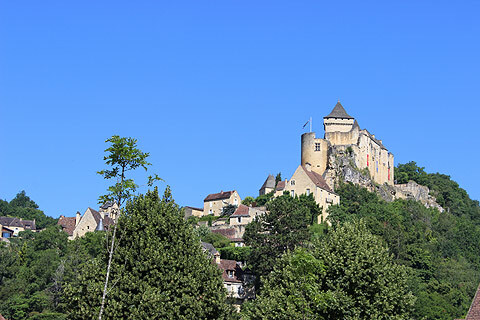 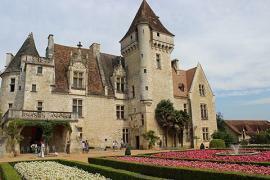 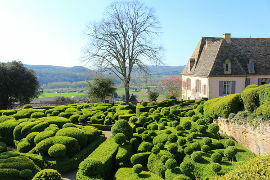 Dominated by its magnificent castle it is one of the most beautiful villages of France. 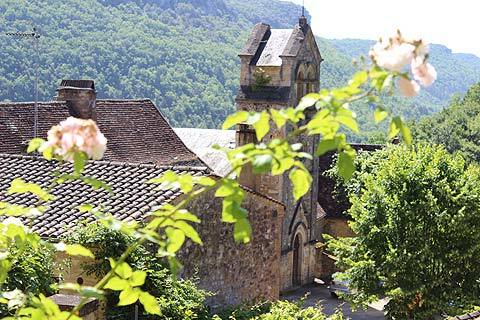 At its lowest point Castelnaud-la-Chapelle sits on the edge of the river. 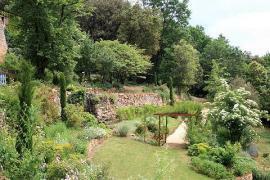 A lovely tranquil spot where you can take advantage of the cafés for refreshments or take a picnic to the river's edge. 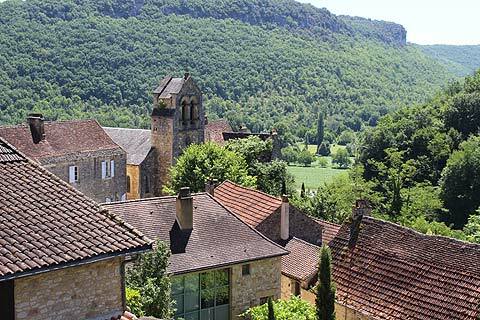 From here it is a fairly steep climb up through the village passing on the way the village church which unusually is not at the highest point of the village. 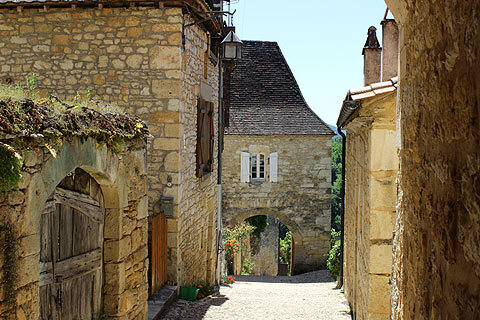 The houses of the village are in beautiful perigordine style with stone walls, large deeply-sloping roofs or terracotta tile and wooden shutters. 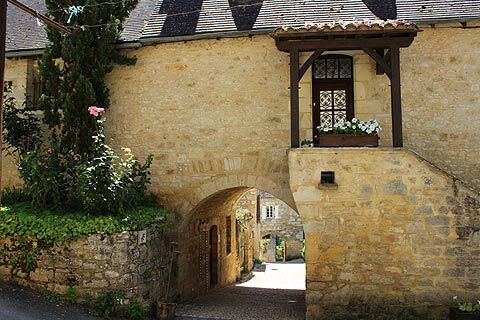 Arched gateways, half-timber houses and a pretty display of roses, vines and lots of other plants adds to the charm. 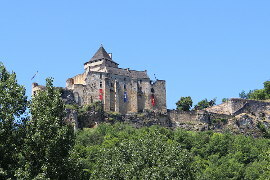 Of course at the top of the village is the imposing Chateau de Castelnaud, a magnificent castle and also a very impressive museum of war. 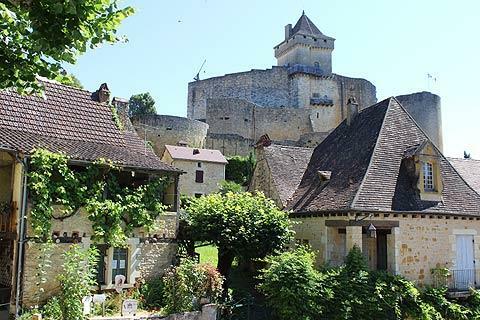 If the walk up the village is too tough then follow the signs to the Chateau de Castelnaud and you will arrive at the top of the village. 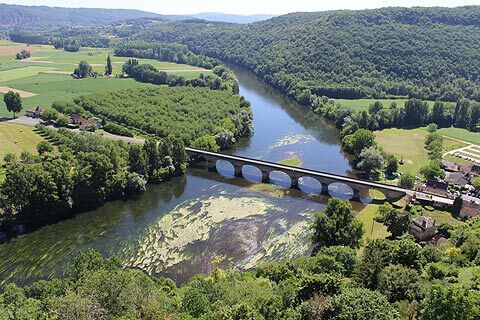 From here you get some magnificent views out along the Ceou valley in one direction and over to the Dordogne river in the other. 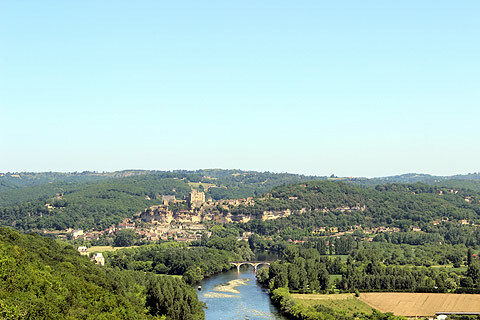 Looking over to the Dordogne river you can see Beynac castle, long-time adversary of Castelnaud, on the other side of the river. 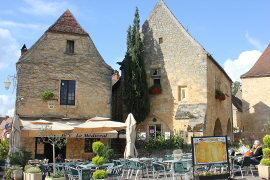 There are several cafés in Castelnaud allowing you to stop and savour the atmosphere whilst you are here. 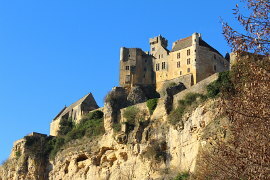 Francois de Caumont, lord of the Chateau of Castelnaud in the 15th century, found the castle rather uncomfortable to live in and so built the neighbouring Chateau des Milandes for his bride. 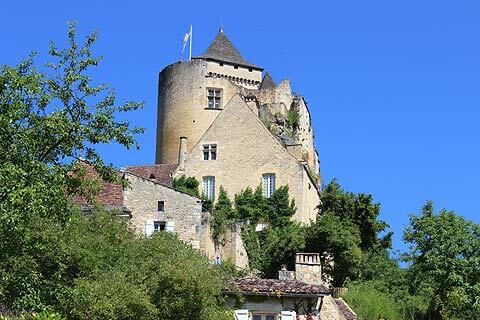 This is a very beautiful castle, once lived in by the incredible Josephine Baker. 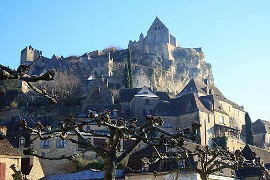 On the opposite side of the river Beynac and Beynac castle are well worth visiting. 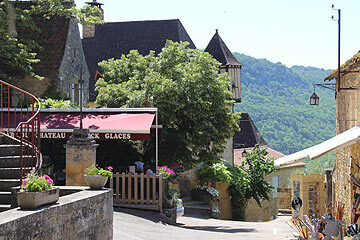 As is the very beautiful village of La Roque Gageac. 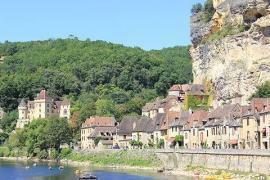 This part of the river is a veritable hot-spot for most beautiful villages as nearby Beynac, Domme and La Roque Gageac are all classified "most beautiful villages of France".